Being from the states, my family still lives there. So every time I go home for a visit, I try to find these to no avail. I love them! They seem pricey, but I just love them. I'm not really a meat-missing-vegetarian though. It is a rare occurrence that Canada has something that either is difficult to find in the states or that the states doesn't have entirely. I've been up here for 6 years and still make frequent trips over the border to buy certain items. I digress. 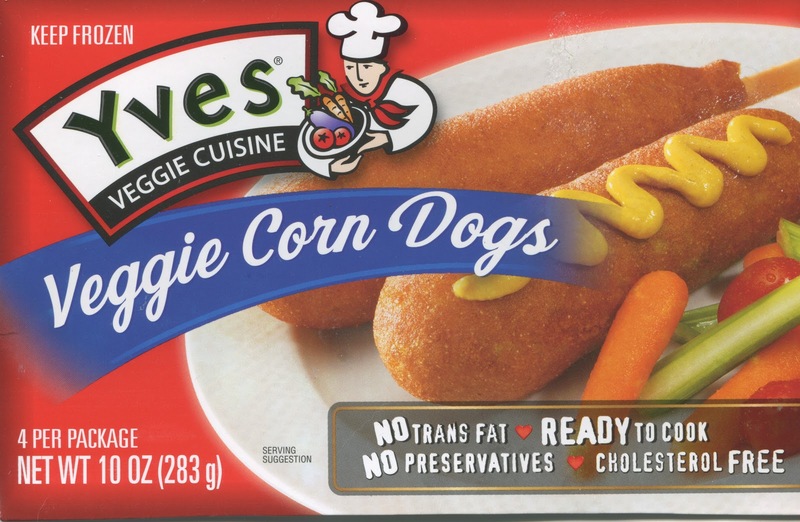 I don't know what Yves is doing in regard to the corn dogs because they made them up here in Canada about 3 years ago. Then about a year ago, they were gone. I couldn't find them anywhere. Now they are back and say "new" on the box and I'm pretty sure there are fewer to a box. Either way... I'm happy they are back and I hope they start selling them at more places in the states very soon! But where do you buy them in Canada. I've been looking everywhere! i got mine at walmart. tasty!